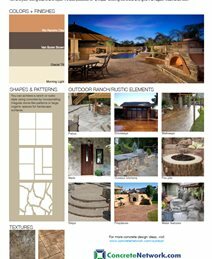 Whatever design style you gravitate towards, whether it is incredibly modern or rooted far in the past, concrete is an excellent material choice. 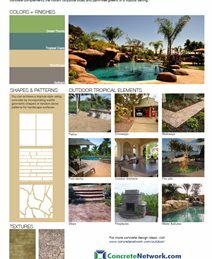 Concrete’s versatility means that the design options for indoor and outdoor surfaces are endless. 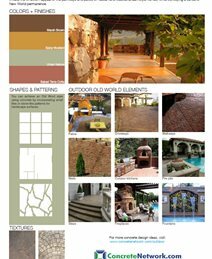 Color choices, texture variations and specialty details abound. 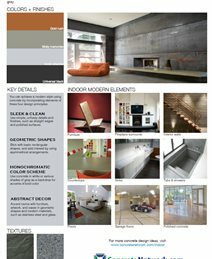 Use the style palettes below as guides to discovering how concrete can be used to achieve a specific look. 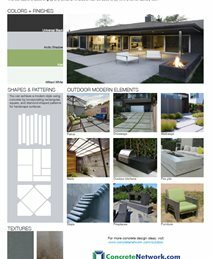 Interpretations of modern style vary from utilitarian and industrial to sleek and bold. 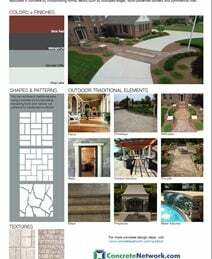 Concrete can achieve all of these modern design variations by permitting large geometrical patterns and shapes, while conveying an industrial look using subtle shades of gray. 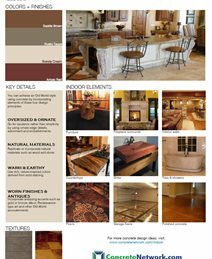 An Old World style blends natural materials, ornate details, and rich, muted colors and finishes. Concrete can be instantly aged or stained to achieve the timeworn elegance characteristic of this look, while replicating Old World materials such as wood and natural stone. Concrete blends beautifully with traditional room designs when given neutral finishes and subtle edge details. 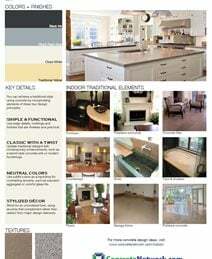 Traditional rooms often use concrete floors, fireplaces or countertops as a focal point, along with simple, tailored accent pieces to complete the look.